The Hospitium is our most versatile venue available throughout the day and evening. 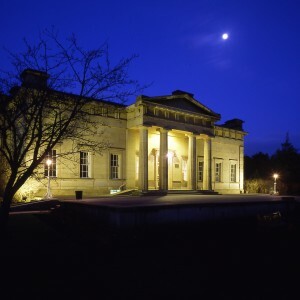 It’s licensed to hold weddings and civil ceremonies, and can also host unique conferences, workshops, private parties, trade fairs and more. The Medieval rooms and garden setting are beautiful and atmospheric. For your wedding day, you will have exclusive use of this historic building. Your ceremony, wedding breakfast and evening reception can all be accommodated with ease so your guests can relax from the moment they arrive. The Hospitium is licensed for ceremonies and we work closely with staff at York Register Office to ensure your wedding runs like a dream. Our dedicated team will help to make your special day a joyful and memorable one. Our two-storey listed building is set within the beautiful York Museum Gardens overlooked by the striking ruins of St Mary’s Abbey, which make for the perfect setting for your unique wedding photographs. The building's ground floor is ideal for your wedding ceremony and can be quickly converted to an open area for a drinks reception after the formalities are completed. 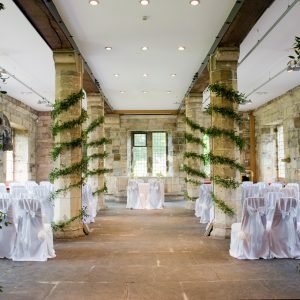 Its Medieval stone walls and latticed windows give it a historic, traditional air and offer a blank canvas for your choice of floral arrangements. During the warmer months, many couples choose to hold their post-ceremony drinks reception outside on our roped-off paved area, which looks out over the Museum Gardens and helps create a lovely summer garden party atmosphere. The first floor, with its high ceiling and half-timbered walls, provides a stunning dining room for your wedding breakfast. We can host seated dinners for up to 130 guests, drinks receptions for up to 180 guests and seated buffets for up to 110 guests. To round off the evening, the ground floor can again be converted into a space for music, dancing and more drinks. Take a look at the practical details of planning your event or have a browse through our gallery for inspiration. You can also read reviews of previous weddings and civil partnerships at the Hospitium online at TripAdvisor and Hitched. 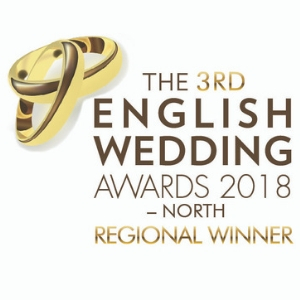 We offer a range of special packages for small, last minute or out-of-season weddings offering the same quality and standard of service with great value prices. Our last minute wedding package at the Hospitium will still give you the event you’ve always dreamed of. We will simplify the organisation of your late wedding day and ensure your fairy-tale event runs smoothly. This package is available for bookings on select 2018 dates within the next 6 months at the Hospitium Sunday - Thursday. The Hospitium is a versatile and convenient venue for conferences, workshops, staff away days and other professional meetings. It's a short 10 minute walk from York Railway Station with a car park available nearby on Marygate, a two minute walk away. The upper floor of the building is ideal for presentations which require an uninterrupted view for delegates. It seats up to 190 delegates theatre-style and 70 cabaret-style. The ground floor is perfect for pre-conference coffee and registration, for lunch, or as a break-out space. The building can host seated lunches for up to 130 delegates, drinks receptions for up to 180 and seated buffets for up to 110 guests. We offer a variety of delegate packages and are happy to discuss your requirements and to arrange a site visit. High-speed, reliable WiFi is included as standard and there are up-to-date audio visual facilities wired into the upper floor. We're happy to discuss any other technical requirements. 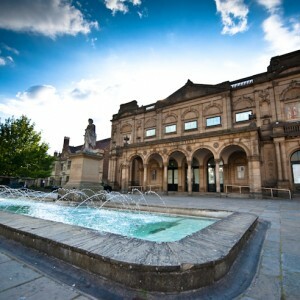 As a bonus, you can add free entry to the Yorkshire Museum or a free guided tour of the York Museum Gardens for all of your delegates during the conference lunch break. This offer is subject to availability and can be withdrawn at any time. Take a look at the practical details or browse through our gallery. 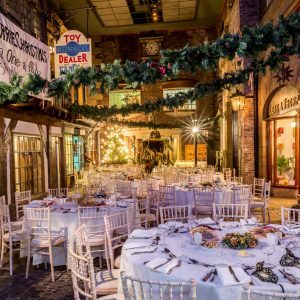 The Hospitium can host anything from a formal corporate dinner or awards ceremony to a jolly Christmas party or memorable school prom. With the flexibility of two floors, we can host seated banquets for up to 130 guests, drinks receptions for up to 180 guests and seated buffets for up to 110 guests. The ground floor provides the ideal space for a drinks reception and offers an informal seating area for guests, while the first floor is perfect for seated banquets. The Hospitium is available for private hire throughout the day and evening and, subject to availability, can be accessed prior to the start of events for preparation. The Hospitium's wonderful atmosphere, flexible spaces and city-centre location make it an ideal venue for a craft fair, trade exhibition or pop-up retail show. There are facilities for stalls, stands, electricity, demonstrations and catering. Welcome your new arrival into the world in a magical ceremony at the Hospitium. We work with York Register Office to host non-religious baby naming ceremonies in our beautiful and tranquil location. The building can also accommodate a drinks reception, afternoon tea, buffet or meal to finish off your day. Funeral teas and memorial services are managed with compassion, sensitivity and understanding. The Hospitium is tranquil and our small and friendly team will provide exceptional service.